When I began contemplating the theme for this month I only knew that I wanted it to tie into Independence Day somehow. I finally decided to do a WWII theme, but with an exception. For the next three Friday’s, I’ll be posting reviews on WWII stories, but today I’m doing a story set in the early 19th century because it captures the essence of freedom so well. Happy (belated) 4th of July! Enjoy. Anna Ashwell is a young English woman entering adulthood in the early 1800s. Born into a family of abolitionists, she is pleased when her older brother and guardian writes to say that Mr. Wilberforce has succeeded in abolishing the slave trade. However, as she enters society, Anna soon finds that slavery and injustice have not ended. Her heart is gripped by the plight of a young slave boy. Yet, in the face of social pressure and scornful peers, Anna finds her convictions wavering. What, after all, can one girl do? This story is one of those rare historical fictions that speaks just as eloquently to contemporary issues as to those of yesteryear. As I read I found myself encouraged to stand for what is right no matter what society accepts as socially or politically correct. The story itself is delightful. 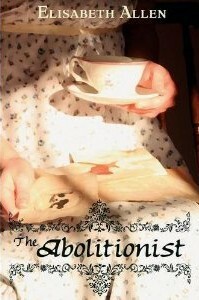 I had never before read a novel about slavery in England and found The Abolitionist to be a wonderful introduction. The book also contains a sweet love story which even the most sensitive of readers should be able to enjoy. I’m looking forward to sharing this book with my friends. Which book(s) do you feel embodies the concept of freedom?